Seven Psychopaths DVD and Blu-ray release date was set for January 29, 2013. 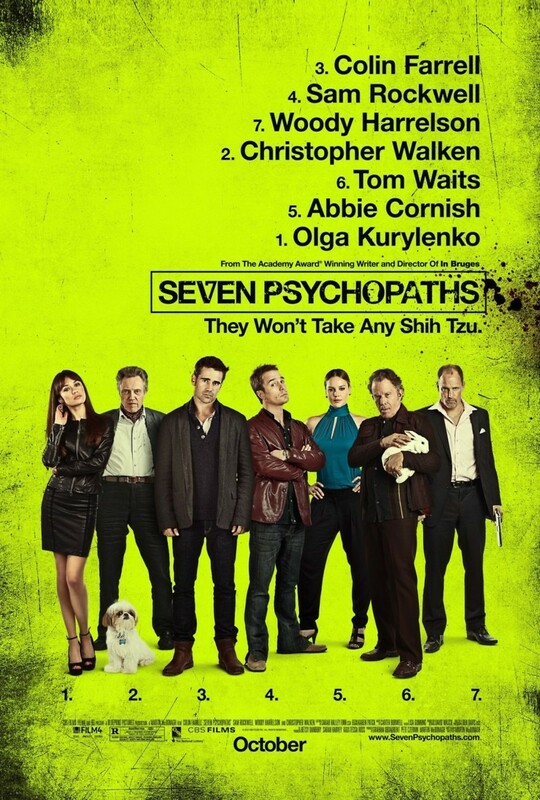 A struggling writer, Marty Faranan has dreams of completing his screenplay, Seven Psychopaths. Marty’s friend, Billy, an unemployed actor who steals dogs and makes money by collecting the rewards offered, wants to help Billy and suggests another psychopath character for the screenplay. Things turn for the worse when Billy steals a Shih Tzu, Bonny, belonging to Charlie Costello, an erratic, extremely violent gangster who will not hesitate to kill anyone associated with his dog’s theft. Marty and Billy have to go on the run after Charlie discovers they have Bonny. A fierce gunfight ensues in the desert between Marty and Billy and Charlie’s thugs. Strangely, Billy was trying to orchestrate the shootout and make it a part of the climax of Marty’s screenplay.